Many of the items utilized in the Inca civilizations are still used today and remnants of Incan utilization of these items can still be found in excavation sites in South America. As the largest pre-Hispanic society of South America, the Incas controlled a large portion of the South American continent. It is largely believed that the population of the Incan empire ranged somewhere from 6 to 14 million and everyone within the civilization was focused between Columbia and Chile. It wasn’t until the Inca civilization was discovered in 1532 when the Spaniards arrived that the Inca civilization was exposed for their intricate society. Before the Spaniards discovered the Inca society; however the civilization that started off centered in just one location had managed to spread across vast amounts of land covering territory all across the western coast of South America from Columbia to Chile. While the Inca civilization quickly spread across the land they began in the small kingdom of Cuzco located in southern Peru. This is a video of the Inca Civilization archaeological site at Machu Picchu in the Peruvian Andes near Cuzco. The soundtrack ‘Apuyaya’ is by Miki Gonzalez from the album Inka Beats: Apu Sessions ’00. The kingdom of Cuzco was founded by Manco Capac, the first Sapa Inca in 1200. Manco Capac features as a major figure in Inca mythology although the legend of Manco tends to vary depending upon the person asked. According to some Manco Capac was the son of the sun god (Inti) and of Mama Quilla (the goddess of the moon and sister to Inti). In the Inti legend Manco Capac along with his siblings were sent to Earth and were told to build a temple of the Sun. The temple was built to their father’s honor in Cusco. According to others Manco Capac was the son of Tici Viracocha, the creator of mankind, the sun, moon God and creator of all, worshipped as the sun and storm God. According to this Viracocha legend Manco Capac and his siblings all lived near Cusco and they brought together their own people with tribes that they met as they traveled. Either way; Manco Capac is believed to be the founder of the Inca civilization and ruler of Cusco for around forty years. One of the notable attributes of Manco Capac and his rule of the Inca civilization is his abolition of human sacrifice. In a time where many felt that human sacrifice was the only way to appease angry gods Manco is believed to have stepped forward. The abolition of human sacrifice was just one of the laws that Manco Capac put forth to govern the new Inca civilization, however. Other laws that Manco Capac instituted included forbidding individuals in Inca civilization from marrying their own sisters – although the nobles were exempt from this rule. The exemption of the nobility from this rule was particularly convenient for Manco as he went on to marry his sister Mama Ocllo and the two had a son, Roca who would succeed Manco as ruler of the Inca civilization. Roca, otherwise known as Sinchi Roca was the second “Sapa Inca” which loosely translates to mean “the Great Inca” to rule the Inca civilization. It is believed that the expansion of the Inca empire continued under the rule of Sinchi Roca. Most notably among stories of Sinchi Roca is the story of the Inca diplomat Teuotihi who was sent to a nearby kingdom to pass a message from the Inca civilization; however Teuotihi was killed by beheading and his headless body was returned to Sinchi Roca. Sinchi Roca took this as a declaration of war and according to legend Sinchi Roca and the Inca civilization was victorious and they dominated over their neighboring territory. After his death the Inca civilization was ruled by Sinchi Roca’s son, Lloque Yupanqui. As legend tells Lloque Yupanqui was particularly ugly and was often referred to as the “Unforgettable Left-Handed One” due to his incredible lack of beauty. Still, Lloque Yupanqui was notable for his rule of the Inca civilization due to his establishment of the Cuzco public market and the building of Acllahuasi. Acllahuasi became known as the place where women from the Inca empire were gathered and given to nobles as concubines, sold as servants or given to the cult of the sun god. As with the trend in the Inca civilization Lloque Yupanqui was succeeded by his son, Mayta Capac who became the fourth ruler of the Inca empire. Mayta is recognized among his ancestors for being the greatest warrior and it was believed to be he that expanded the Inca civilization further than it had ever been expanded before. Mayta is recognized for expanding the Inca civilization to Lake Titicaca, Potosi and Arequipa; however, other records note that during the time of Mayta the Inca civilization was actually still isolated in the Cuzco valley. While his territorial expansion is questioned it is known that Mayta was able to intimidate and overrule the Alcaviza tribe that was located nearby. Again, in accordance with tradition Mayta was succeeded by his son Capac Yupanqui who became the fifth ruler of the Inca kingdom. Yupanqui was the last of the dynasty of rulers and he married the daughter of one of the Inca empire’s biggest enemies and their son would found the next dynasty of Inca rulers. Capac Yupanqui is believed to be the first to expand the Inca empire outside of Cuzco if the legend of his father’s expansion of the empire was not to be believed. Aside from the expansion of the Inca empire outside of the Cuzco valley, Capac Yupanqui is also recognized for improving upon the Inca society by the addition of a variety of structures including aqueducts, roads and buildings. Following the rule of Capac Yupanqui a new dynasty in Inca civilization was begun by Capac’s son, Inca Roca. The rule of Inca Roca is important in that Inca was not the first heir to the empire; however, after a rebellion against the hurin dynasty the first heir to the throne, Quispe Yupanqui was murdered and the throne was instead given to Inca Roca, son of another of Capac’s wives. During his rule of the Inca empire Inca Roca is most noted for improving the irrigation of the civilization. Inca Roca was followed by his son, Yahuar Huacac the seventh ruler of the Inca kingdom. Yahuar’s rule of the Inca empire is the mark of great change amid the kingdom and while the legend of the actual results of battle with the neighboring Chancas is unknown the Chancas were eventually defeated. One legend tells that Yahuar left Cuzco after the attack of the Chancas and that the Chancas were defeated by his son Viracocha. Another legend tells that Yahuar’s son Viracocha was the one who retreated and it was Viracocha’s son Pachacuti that defeated the Chancas. Until this period the Chancas has been a thorn in the side of the Incas, launching small battles and invasions on the Inca kingdom. While some legends tell of Yahuar’s son Viracocha also abandoning Cuzco and others tell of him being instrumental in the defeat of the Chancas one common thread surrounds the rule of Viracocha. As legend tells, Viracocha was the first of the Inca rulers to expand the kingdom in to the territories that he and his empire conquered while previous rules had simply looted and abandoned them. Little else is told about Viracocha other than the passing of the throne to his son, Pachacuti. It was Pacacuti that created what is now known as the Inca Empire where previously the ruled territory of the Inca people was simply known as the Kingdom of Cuzco. Pachacuti was responsible for great expansion of the Inca empire and it is believed that Machu Picchu was built as a home for Pachacuti. The legend that is shrouded in confusion as to who abandoned Cuzco is sometimes told in favor of Pachacuti saving the Inca’s from the neighboring Chancas. As this side of the story goes Pachacuti stayed to fight the Chancas while both his father and older brother (who was intended to the throne) abandoned the kingdom in fear. It was this bravery that reportedly won Pachacuti the position of co-ruler of the Inca kingdom alongside his father who returned to the kingdom after the Chancas had been defeated. After Viracocha’s death; however, Pachacuti took over at the ruler of the empire alone. During the rule of Pachacuti the Inca empire expanded at amazing rates due in part to Pachacuti’s militarization of the empire. Until the time of his death Pachacuti, often times in coordination with his son Tupac, managed to expand the Inca empire from just outside of Cuzco south to Chile and north to Ecuador. Pachacuti is not only known for the expansion of the Inca empire but he is also recognized for complete reorganization within the empire as well, something his predecessors had neglected to do. During Pachacuti’s reign the Inca empire was organized in to four provinces each of which was governed by local leaders who controlled appointed officials under him in order to more efficiently run the empire. Pachacuti established a system of checks and balances on power by establishing a specific chain of command within the army and priesthood. Pachacuti also divided up living quarters to house the upper and lower halves of society and Pachacuti himself lived in the center of the empire. Pachacuti is known for making some of the biggest advances in the Inca civilization but the one thing he was unable to reform before his death was the method of picking the next ruler, as with tradition Pachacuti was succeeded by his son Tupac Inca Yupanqui. While his father was still alive Tupac Inca Yupanqui was appointed as head of the army and it was through his efforts that the empire was extended so far. During his reign Tupac is known for defeated the last remaining large threat to the Inca empire, the Chimor who live to the north of the Inca empire. Tupac did manage to extend the empire and defeat the last remaining threat to the Inca society; however, his accomplishments seemed to fade in comparison to the expansive renovations his father performed during his reign. Unlike previous generations of Inca rulers the successor to Tupac was appointed successor after he won support by the majority of the empire to become ruler. The next ruler was not the son of Tupac, instead he was Huayna Capac. As the eleventh Inca ruler Huayna managed to continue expansion of the Inca empire and expanded south in to Chile and Argentina and expanded north to Ecuador and Columbia. Due to the large expansion of the empire Huayna fought to establish a second stronghold within the empire aside from their stronghold in Cuzco and set about establishing rule in Quito (the capital of Ecuador today) as well. Huayna is known as being the leader of the Inca empire when it reached its peak of power and he is also recognized for being one of the few Inca rulers who was dedicated to his people as well as his territory. Huayna was responsible for expanding the road networks of the Inca empire as well as building food storehouses that were used to help prevent starvation of the Inca people. Huayna eventually died after contracting smallpox that had been introduced to South America with the arrival of the Spaniards. At the same time as Huayna lost his fight against smallpox so too did 200,000 other people due to a lack of defense against the new disease. At his death Huayna divided the Inca civilization among Huascar his legitimate heir who received the southern half of the empire and Cuzco and Atahualpa his favorite son who received the northern half of the empire and Quito. These two heirs to the empire would, upon their father’s death begin a civil war as they each sought to overthrow the other and this would put the northern and southern halves of the Inca empire at war with each other and create bad blood that would be remembered for some time. Atahualpa would become known as the last emperor of the Inca empire, he would be captured by Pizarro, the Spanish conquistador who stumbled in to the Inca civilization during Atahualpa’s rule. Pizarro attempted to use Atahualpa to control the Inca empire; however later had him executed utilizing a garrote. After Atahualpa’s death the entire Inca civilization would begin its decline. The remains of the empire would go on to be ruled by Atahualpa’s younger brother Tupac Huallpa who was crowned by Pizarro. After Tupac’s death Manco Inca Yupanqui would negotiate terms to rule over the remaining Inca civilization with Pizarro who utilized Manco as a puppet much as he did with Tupac. Manco Inca Yupanqui would be succeeded by his son Sayri Tupac, who would be succeeded by his half-brother Titu Cusi, who would be succeeded by the last indigenous leader of the Inca – Titu and Sayri’s brother Tupac Amaru. It was ultimately the arrival of the Spaniards in South America which brought the initial blow to the Inca civilization; however, before the fall of this great empire the Inca’s managed to make quite an impact on South America. The implementation of politics and government that was initiated with the separation of the Inca empire in to four territories began the ruling of the empire by the appointment of various kings among the territories. The implementation of order and checks and balances within the priesthood and army were also great steps forward for the Inca civilization enabling more structure and more control to ensure a much more cohesive society. The establishment of political rule and governmental systems was not all that the Inca were able to incorporate in their society; however, they also valued religion, education, art, technology, agriculture, farming and much more! The Inca civilization grew over a long period of time and certainly endured the rule of many various leaders who each had their own idea of what a strong civilization incorporated. It seems; however, that the true peak of the Inca civilization occurred during the rule of Pachacuti when the empire was divided in to four provinces. This simple division of land within the empire served to make the sheer size of the Inca empire much more manageable and it became easier for Pachacuti and his followers to establish a variety of other major advances and techniques that allowed the flourishing of the Inca people. It was unfortunate for the Inca; however, that the two brothers Huascar and Atahualpa were so fractured that they were unable to co-rule the Inca empire and it was their quarreling that caused the civil war than weakened the empire and allowed the Spaniards to step in. Were it not for the fracturing of the Inca empire during the rule of Huascar and Atahualpa it is possible that the strength of the empire itself would have been able to drive out the Spaniards and overcome Pizarro. Unfortunately the quarreling of two brothers is most likely the fracture that began the break and eventual downfall of the Inca civilization. While the Inca civilization has long since fallen, there are many aspects of the Inca civilization that remain. The Incan calendar had religious significance to the Inca people with a religious festival occurring on each month in the lunar calendar. The Inca calendar was divided in to twelve months just like modern-day calendar; however, each month was divided in to three weeks of ten days each. The significance of calendar months to the Inca people is also very important in the development of calendar use in general. The solar calendar which was also used by the Inca people was used more as a means of keeping accurate time and scholars looking back at this calendar remark on its incredible similarity to a year on today’s modern calendar. The Inca calendar week is one example of using the base unit of ten. While we no longer use a ten-day week, we have many systems which rely on the base unit ten such as the metric system and the Dewey Decimal System. The concept of freeze drying may seem to be a technologically advanced one that was far beyond the capabilities of the Inca people, but this is not the case. Each night in the high Andes Mountains freezing temperatures would creep in which the Incas soon found would freeze their food supplies that did not have additional sources of warmth. The Inca people would purposefully leave out potatoes hidden underneath cloth in these freezing temperatures and allow them to freeze. The following morning the Incans would walk over the cloths to squash out any moisture from the frozen potatoes. This process would result in a type of freeze-dried potato which was much more portable for travelers and soldiers alike. Additionally, freeze drying potatoes also extended their shelf life and allowed for the Incans to create a food store to sustain them should their crops fail due to drought or crop failure. The Inca people greatly valued music and during their time they invented a vast number of instruments. The most popular instrument among the Inca people was the panpipe which is still very common among the people living in the Andes Mountains today. Flutes were also very popular among the Inca Empire. Many of the instruments and the music that came out of the Inca Empire played a significant role in the development of local cultural music traditions and tones. The most popular categories of instrument to the Inca people were wind and percussion instruments. 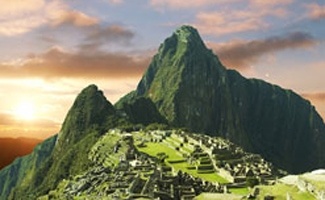 The Incan empire cannot take credit for inventing the road; however, they did invent roads and highways to connect their South American territories – something which had not been seen in this area before. According to historians, the Incan highway system had roads that varied from 3 feet to 13 feet wide and covered a total of around 25,000 miles! The materials that made up these highways varied from dirt roads to paving slabs. At the time, these transportation networks were reserved for those on government business but were open to business officials for a set distance per day (20 miles.) In addition to the highways, the Inca also provided rest stops along their highway system. These rest stops were not unlike those we have today in terms of what they offered. Known as “tampus” these stops provided travelers the opportunity to restock their supplies, rest in lodgings and a chance to eat. At the time of the Incan people though this opportunity to rest was more valued as rather than vehicles, these men traveled on foot and in the case of noble parties, had to carry their nobility on their shoulders! Despite living on the steep hills of the Andes, the Incan people had a need to farm and found a way to overcome their lack of flat farmlands in terrace farming. Terrace farming is a method of farming that involves creating “steps” of farmable land, these steps take on the appearance of terraces. This method of farming allowed crops to survive by providing flat land on which to grow. The retaining walls of each terrace were made from stone which allowed for absorption of heat so that crops would always have a source of warmth. This warmth absorbed by the stone during the way would be retained and expelled during colder nights which prevented crops from freezing. The most commonly grown crops in these areas were potatoes and corn but beans and squash were also popular among the Incans. Life in the Andes Mountains often meant that the transportation systems of the Incan Empire were insufficient to cross more rugged terrain. Where large chasms posed a problem for roadways, rope bridges seemed like the perfect solution and braiding and weaving was not something lost to the Incans. Since their civilization began the Incan people had been weaving together natural material and by implementing this talent they were able to create rope bridges capable of carrying traveling parties. Unlike the large and heavy stone bridges that were being constructed in Europe at the time, the Inca were able to create bridges capable of spanning much longer distances. Many Incan rope bridges were at least 150 feet long. There was a downfall to these bridges however in that unlike the solid stone bridges in Europe; these rope bridges were much more flexible. This meant that later in to the day when the winds in these gaps picked up, the bridges would sway and become unsteady. As a means of overcoming this problem messengers and travelers would reserve crossing bridges until early morning time when the winds were often less powerful. Another problem that often arose from the Incan people using rope bridges rather than stone bridges was the lifespan of the materials used. Where Europeans had stone bridges that lasted with little wear, the natural materials used by the Incans would degrade meaning that the bridges had to be rebuilt every year. I have always found early cultures somewhat interesting because in many ways, they developed so differently than our modern culture, and I wonder why they developed and then stopped and then developed and then stopped or disappeared. Though many of these cultures often seemed to develop technologically and scientifically, it seemed odd that so many of them continued in practices of human sacrifice and other cruel and violent behaviors. It seems that if a group of people had developed so well in so many areas, that these other practices would eventually disappear. It does state that a king, Manco Capac did abolish the practice of human sacrifice in this civilization, which made sense, but that he still allowed intermarriage between family members for people in the noble class. That is what I find weird about these cultures, is that it seems like they rose to such great feats of discovery and such when it came to the earth, art, science, weather and many other things, but their governments sometimes allowed the inhabitants, by law, to carry on with such uncivilized traditions. You would think that it would have dawned on them that what they were doing was wrong, or immoral in some way. I always wonder why it did not. I am sure this is not the case with all ancient cultures and civilizations, but I have heard what seems like the same story many times over regarding cultures from ancient times, from all over the world. It includes gentle exercises and meditation. It helped millions of people to regain health, peace of mind and obtain spiritual fulfillment. Since 1999 this peaceful practice is being brutally persecuted by the CCP in Mainland China. People are being killed, tortured, put into concentration camps and have organs harvested from live people, simply because of their belief. Millions Falun Gong practitioners have died from torture at the hands of CCP in the past more than 14 years. More than 100 million people around the world practice Falun Gong. Just spreading awareness is a big help. Let your family and friends know about the persecution. Many people invest money in China without being aware what it is used for. Many products that are coming from China are made by prisoners in the most pitiable conditions.